This is without question the most accurate replica of the marque. Dimensions are exact and allow genuine Ferrari parts to be used if required. E.G. Autokraft/PKA/Arrow was the work of Emilio Garcia and Peter Jacobs. Emilio had been turning berlinetta Daytonas into spyders for years so it was a logical step for him to engineer a replica. He turned to Peter Jacobs to make the bodies, Peter was the man who built the bodies for the RS200 Ford rally car and the GTD a very well made Ford GT 40 replica. The E.G bodies were Kevlar reinforced composite and could even be had in aluminium at extra cost. Uniquely they also built berlinetta's too and sold around seven in all. 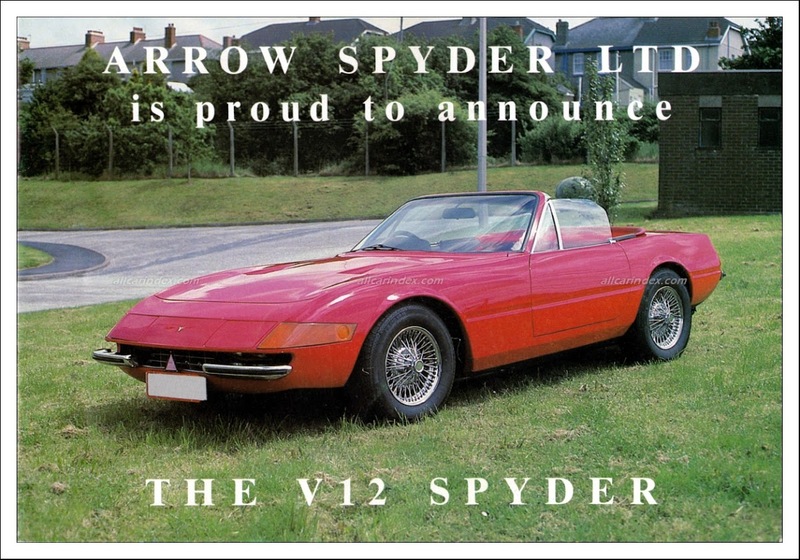 Ironically the rareity in the original was in the seven right hand drive spyders but the rareity in the Arrow replicas is there are only seven known coupes! 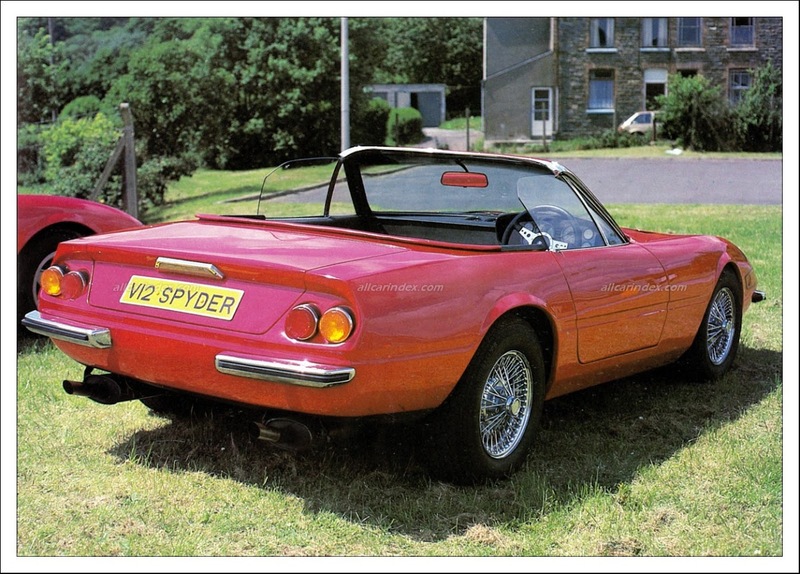 Other replica makers never attempted to build berlinetta copies. Unfortunately Emilio was no business man, hence Arrow and PKW, and after going out of business twice suddenly disappeared to Germany leaving many kit buyers with half built cars or no car or money at all and Peter Jacobs to handle the flack! But if he hadn't made the cars the world would have been a lesser place and he should be thanked for that. The kits were around £20,000 plus the donor to be built and Emilio would build one for £25,000 for those who wished a built one.This was around 15 years ago. Despite this around 80 cars were made or sold in kit form. The club are aware of around 30 but would love to learn of any others that are known.